What’s today’s date? The full date? When you said it, did you include the formal label “AD.” Probably not, we only use it on diplomas and legal documents – but it is true that every day we live is AD. We use AD because history hangs as on a hinge at the birth of One man, Jesus the Christ. We mark history by Him. We are also marked by Him as His people in this year. In the Chinese culture, the calendar is cyclical— the year of the dog or the rooster or the scorpion. Or, this year: the pig. 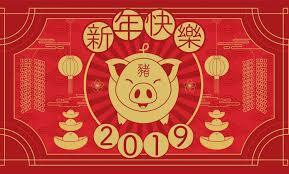 But note, they still refer to this as 2019 – which means they follow the calendar keyed to the birth of Jesus Christ, even if culturally they continue to acknowledge the Chinese cycle. As people lay claim to this year for different reasons— either cultural or political or otherwise, let us be the people who consistently bear witness to the reality that this is Anno Domini, the year of the Lord.